Founded in Los Angeles in 1956 by David C. Hall, Diamond Perforated Metals, Inc. was the first major manufacturer of Perforated Metals on the West Coast. In 1962 Diamond added expanded metal manufacturing to its capabilities. In 1988 Diamond acquired California Perforating Screen, a competitor, giving us additional capacity and employee experience. In 1994 Diamond consolidated the two operations and built a new perforated metal manufacturing plant strategically located in Central California. This new facility was designed from the ground up to efficiently produce the best quality perforated materials in the industry. In it are the most modern perforating presses and support equipment available today. Diamond built its reputation based on Mr. Hall’s obsession with pleasing the customer and building lifelong relationships. This still holds true 50 years later. 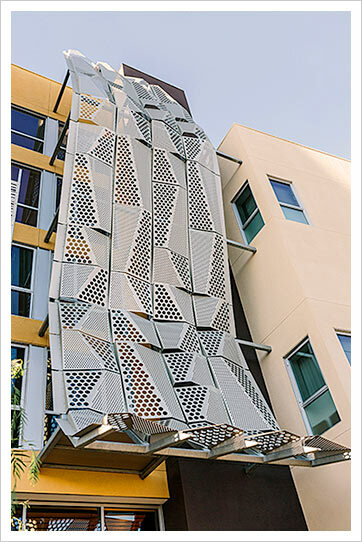 With this business foundation, Diamond Perforated Metals has grown to become one of the largest manufacturers and distributors of perforated and expanded metal in the United States, with locations in Visalia and Los Angeles Ca., Seattle, Denver, and Chicago offering same day shipments! Diamond Perforated Metals is an ISO 9001:2008 certified company. We embrace continuous improvement through customer surveys, corrective and preventive action, team problem solving, and formal management review of quality system. Our quality system has been established, documented, and is maintained to ensure the output quality of our process. Using ISO 9001:2008 standards, our Quality Manual (1st tier below) provides a general overview of our entire system. We then use the quality procedures (2nd tier below) to outline “what” we do to maintain our system, and finally we use Work Instructions (3rd tier below) to define “how” our system functions. With the implementation of our quality system, (ISO 9001:2008), the third party certification represents a tangible expression of our commitment to quality. Our name is synonymous with quality, the numbers are solid proof. Our quality rating and on-time shipments average above 99.7%. We guarantee you’ll find us to be one of your most maintenance-free suppliers. Our philosophy is to partner with our customers, learn their business, understand their needs and cater to them, for life. We realize that every business is different, please allow us to assist you in your day-to-day problems by setting up and managing a specialized program such as, but not limited to, “min-max”, “blanket orders”, “expedites”, “Diamond lane” and so on. We are committed to providing superior perforated and expanded products and services, at the best possible price, delivered on time!